I originally wrote this post when I was pregnant with Jussi, but it got lost and was never posted. It has since been found and all written is still very true and has been a book of great comfort to me in both of my losses. Instead of re-writing it I decided to go ahead and post it as is. As we have walked through the loss of our beloved little baby boy Avi, many friends and family have come to walk with us through this sorrow and loss. This book is one of the many gifts of love and encouragement that was given to us. As I read this book I was moved and stained the pages with my own tears. Angie Smith wrote this as she herself walked through a very hard pregnancy. Around 20 weeks she and her husband Todd (lead singer of the group Selah) found out that they were going to have a baby girl (their 4th) and they were excited… but there was more… This little girl had a very large heart and other malformed or missing organs. This little girl would probably survive the pregnancy or at least most of it, but if she was born alive, wouldn’t live for more than a few hours. Angie and Todd were advised to terminate the pregnancy, but they declined. They decided to give this baby life for as long and she would live. It was a very sad and difficult and physically painful pregnancy, but little Audrey Caroline made it to her delivery date. Once she was born she lived for two and a half hours and was loved on by her older sisters, parents, grandparents and church family and also bade good-bye. Angie wrote of what it was like to find out the sad news that their baby wouldn’t live more than a few hours, she writes how she walked through that each day with 3 small girls and with a husband who had to be gone often on singing tours. She wrote about the few hours they had with her, their loss, burial and what that grieving process looked like for her. I cried through the whole book. It was very sad, but Angie also wrote of great hope. Even as I was struggling with our loss of Avi, I found this book comforting. Angie survived her loss, and I can too. Even in those dark and lonely hours when all seems lost, there is light in our Savior. Angie points us to God, His faithfulness and His goodness even when we don’t understand. 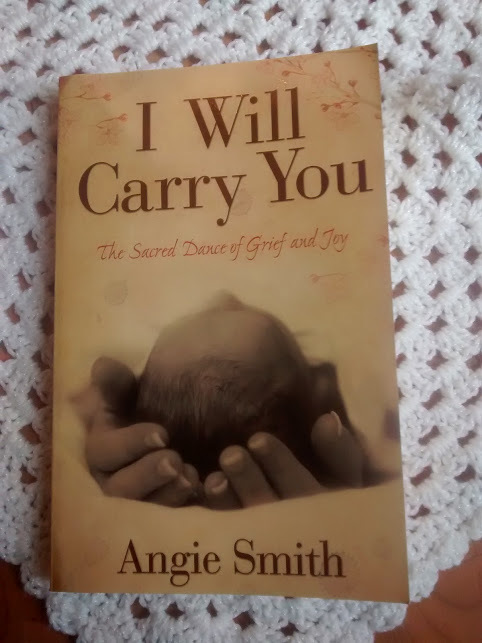 This book really helped me and comforted me in my loss and I definitely recommend it as a great book to give other mothers who have had to walk through a stillbirth, infant or child loss. It’s sad, but also comforting. The title of the book is also the name of a song that Todd wrote for their little girl and here is the video of the song and also photos of the family and their baby girl Audrey. I know this books isn’t the desired read for everybody, but I think it’s a precious gift to give for any mother mourning the loss of her unborn or newly born baby. I have already given this book to a friend and hope to never do it again, but in all reality, I’m sure I may. I hope you can use this to bring comfort and hope to someone you love. Previous How Do I Help My Children with Their Grief?